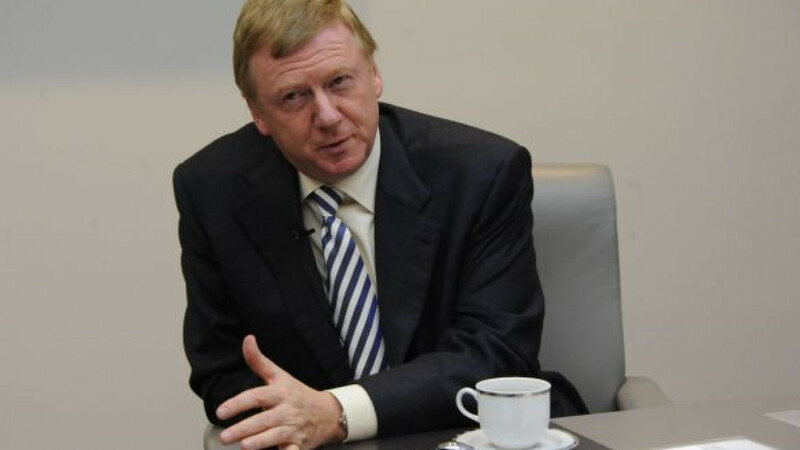 KHIMKI — Decked out in a white lab coat and chatting freely with scientists, Rusnano chief Anatoly Chubais seemed particularly cheerful Wednesday as he welcomed American pharmaceutical company Selecta Biosciences, which aspires to develop the world's first anti-smoking vaccine. "When we made the decision about investing in Selecta, we made the right choice," Chubais said. "It seemed to us that the company has unique technological capacity and that with time, as it develops, this startup will show very strong results." Selecta Rus, a subsidiary of Boston-based Selecta Biosciences, opened a research lab in Khimki and moved its global top management to Russia as a sign of confidence in the country's potential for nanotechnology research. Selecta Rus develops vaccines that are based on nano particles. The smoking vaccine, which would help people quit by taking the joy out of the habit, is well along in the development process, having already been safety tested on nonsmoking Belgians. The vaccine still has to go through multiple tests and may be available as early as 2016, said Dmitry Ovchinnikov, deputy general director of Selecta Rus. The laboratory is also working on a vaccine for Type 1 diabetes, and in collaboration with the multinational pharmaceutical company Sanofi, it will start working on vaccines against life-threatening allergies. The agreement with Sanofi was signed Tuesday and envisions Selecta Biosciences, in which Selecta Rus is a wholly owned subsidiary, getting $900 million from the French drug company to finance its laboratory tests. Selecta Rus eventually plans to manufacture vaccines for clinical tests in Russia and will then decide whether they can build a commercial manufacturing facility here, said Werner Cautreels, general director of Selecta Biosciences. Cautreels, a Belgian, will move to Khimki in January. Russia is an attractive location from which to manage global operations because of its high scientific and business potential, he said. "You know what Wayne Gretzky always says? You have to skate where the puck will be, not where the puck is," Cautreels said. "In business, pharmaceutical companies all want to be in countries like this. We're being ahead of the game." Cautreels added that Selecta probably could not have moved to Russia without help from Rusnano. The state corporation plans to invest up to $25 million in the project and is also providing administrative assistance to the startup. Under a deal Selecta Rus and Rusnano signed a year ago, the pharmaceutical company gets to keep the intellectual property rights to the vaccines and choose where to produce them. Rusnano would then get a share of the company's revenues, although the company's managing director, Dmitry Lisenkov, declined to reveal more specifics. Rusnano may also be able to help Selecta with manufacturing capacity. The corporation is looking forward to building a large manufacturing complex for its medical partner companies. "We are looking at consolidating several of our medical projects when they are in their production stage on this large-scale plant that we are planning to build," Chubais told The Moscow Times. "At the same time, we must understand that this will be meaningful only if we can offer economic conditions in this enterprise that will be as profitable as those at other sites." Rusnano planned to launch 16 new partnerships this year, but Chubais could not say whether it would meet that target. The corporation launched 13 partnerships last year.